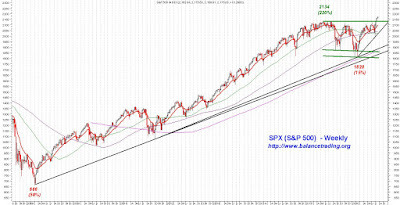 From early March of 2009 to mid May of 2015, SPX gained 220% (666 to 2134). 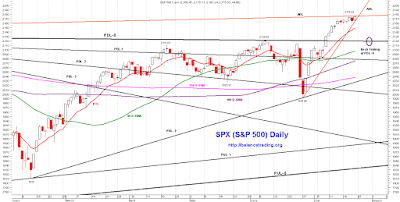 Then SPX traded in a 300 point trading range for over a year until two weeks ago when it pulled out of that range (a possible bull flag shown in green) and resumed its 7 year rally. At the point chances are good that SPX continues its rally for another 300 points to SPX 2400 between now and the 2016 presidential election (sorry Donald, Market says that you will fail again). Shorter term, indices are quite overbought. 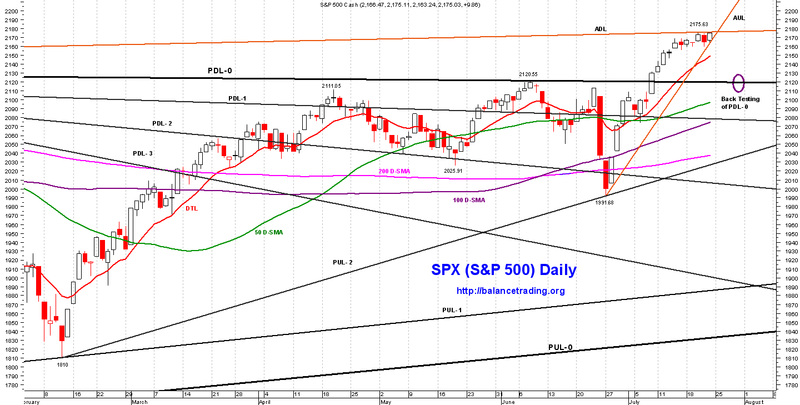 SPX, for example, has rallied 20% since mid February. 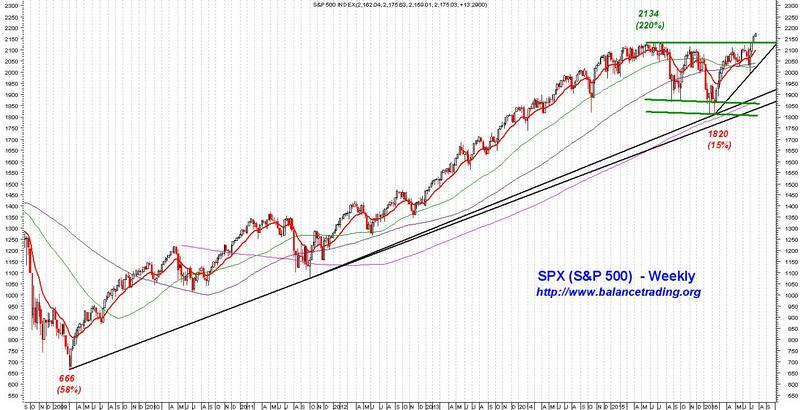 Chances are good that SPX sells off this coming week to back test its PDL-0 which resisted any advance by SPX for over a year. PDL-0 should now act as a strong support when it's tested. My plan is open long positions in SPY. I'm planning to open my first of three long positions in SPY sometime this week as SPX sells off to test its PDL-0 around 2120.